Yep, google the Year of the Pig, and that’s one of the first things that comes up. As someone who’s born under this particular Chinese zodiac sign, it doesn’t come as too much of a surprise. Eating and sleeping, I’m happy as a pig in mud. Mind you, that’s not all we’re about. I was pretty happy to read, it’s perfectly ok to be a pig. 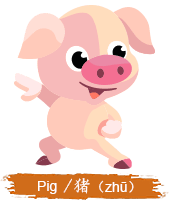 The humble Swine has a ‘beautiful personality and is blessed with good fortune in life!’ High fives to that! As I delved a little deeper, I discovered as the 12th of the 12 year cycle of animals, its ‘lucky last’ placing is because (as legend goes), just as the Emperor was about to call it a day, an oink and squeal was heard from a little Pig. The term “lazy Pig” comes in here, because the little Pig got hungry during the race, and promptly stopped for a feast then fell asleep. After the nap, the Pig continued the race and was named the 12th and last animal of the zodiac cycle. 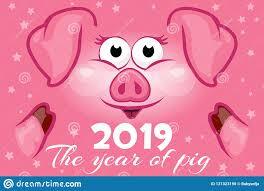 Us pigs can expect to be successful in all those things we endeavour to do in 2019 and new friends are on the horizon. We do need to keep an eye on our health though. More sleep? 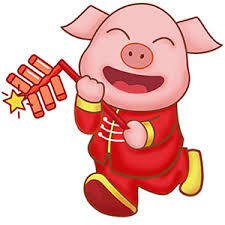 But as billions of people around the world celebrate the Lunar New Year, what does it actually mean for all of us this year, even if we’re not a porky ‘pig’ by astrological measures? Each zodiac year is also represented by one of five elements, metal, wood, water, fire and earth, which has a significant impact on what happens. 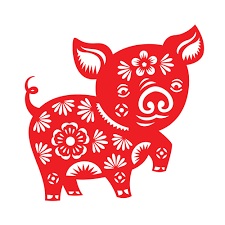 This year is the Year of the Earth Pig and he’s going to be roaming our pastures until January 24th 2020 and get ready, because we can expect a lot of relaxation and serenity. And according to the Chinese astrology , 2019 is a great year to make money, and a good year to invest. It’s predicted to be a year full of joy and a year of friendship and love for all the zodiac signs. 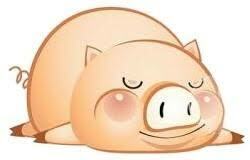 It’s an auspicious year because the Pig attracts success in all the spheres of life. Given it marks the end of a complete rotation cycle of the twelve signs of the Chinese zodiac, it’s also a signal for everyone to take a well deserved break and take the opportunity to reflect on previous years. If you’re a Rabbit, Monkey or a Rat, you’re in luck. These are the luckiest signs for 2019. Not sure what your Chinese zodiac sign is? Check out this link. For luck, go for red and white in the colour stakes. Mind you, can it all be taken with a grain of salt, one wonders? I read Pig’s specifically born in my month and year are ‘good with money and keep track of spending’. Ah, no. Let’s just say we do believe though, the pig gets on well with other pigs, rabbits, goats and tigers (lucky for both the Hotelier and Small Person). To all of you, Xin Nian Kuai Le. Happy New Year! Oh, and of course, I’ve written lots of other posts on Chinese New Year in the past. If you want to know what the rules are surrounding those lucky red envelopes, check out this post: Lai See: Lucky Money. If you want to know the dos and don’ts (aka the rules) for CNY, like not cleaning your house or cutting your hair and wearing red undies… check this post out. And if you just want to see what it’s like in China on New Year…. read this one because it’s pretty cool and look at these amazing videos. And the best bit, what it’s like for a child at New Year…because they definitely have the best fun! Painting the Town Red: Chinese New Year through a Child’s Eyes. Lai See: Lucky Money or Tradition Gone Mad? Monkey Business! Swinging into Chinese New Year with a Bang! Bask in the Glow: Chinese New Year in Pictures!